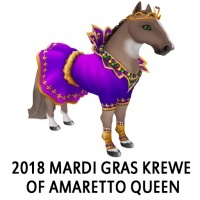 Amaretto wanted to celebrate Mardi Gra 2018! 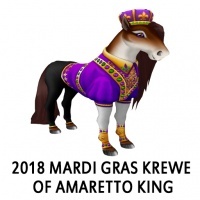 So from February 8,2018 until February 23,2018 you could pick up your 2018 Mardi Gras Krewe of Amaretto at any Amaretto location! 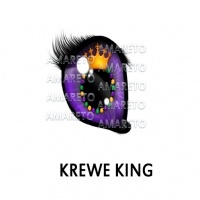 You have a chance at magical surprises from ANY breeding these 2018 Mardi Gras Krewe of Amaretto! The Coats on the 2018 Mardi Gras Krewe of Amaretto DO NOT pass. 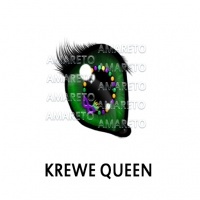 The Eyes on the 2018 Mardi Gras Krewe of Amaretto DO have the ability to pass! This page was last edited on 14 August 2018, at 17:26.